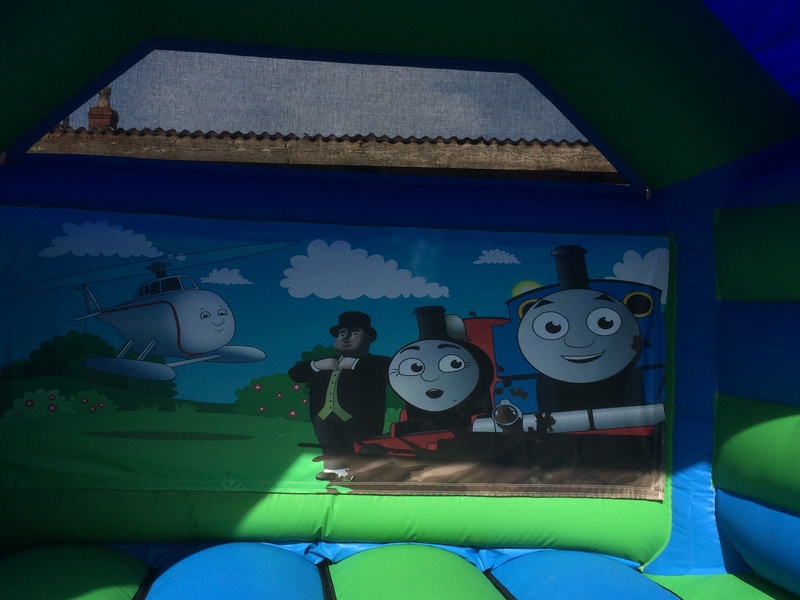 Brand new castle for 2016 with great artwork complete with Thomas, Percy, Harold the Helicopter and the Fat Controller. 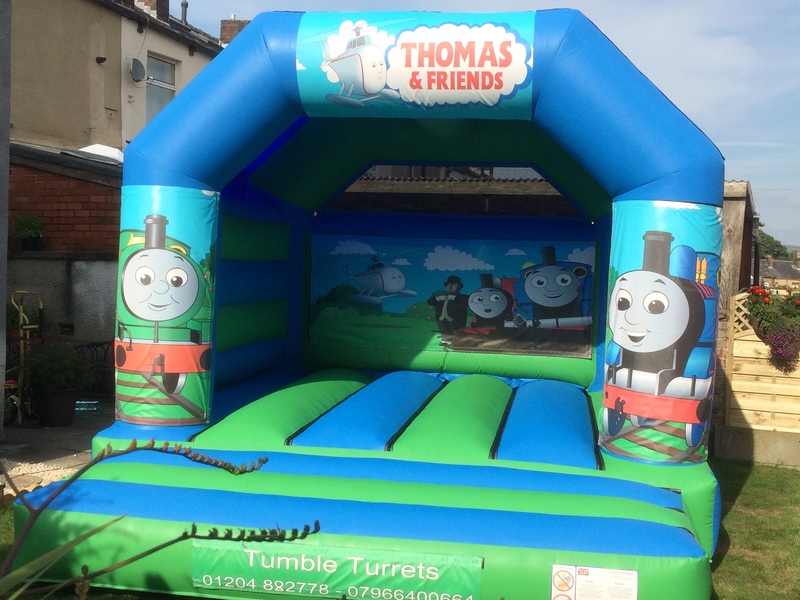 Available to hire now. 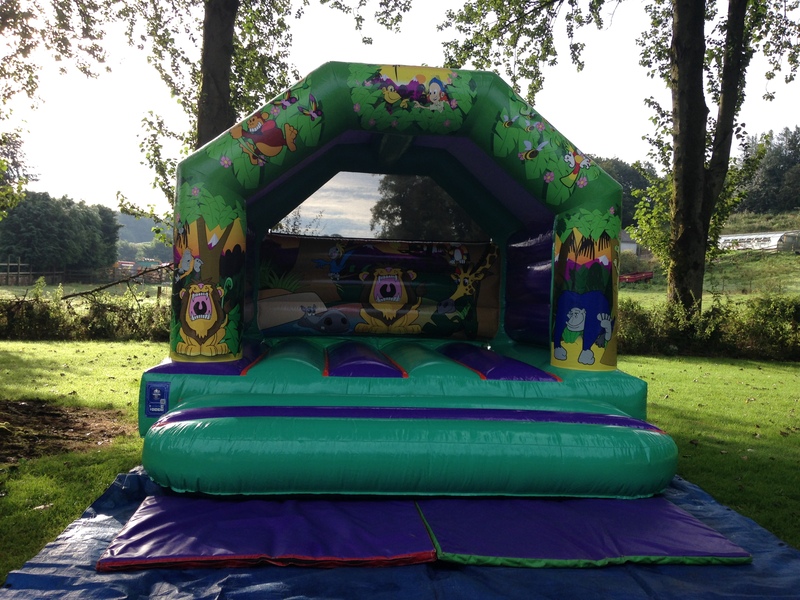 SKU: CAS14. 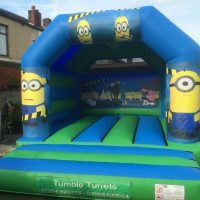 Categories: Bouncy Castles Available For Hire, Our Latest Bouncy Castles. 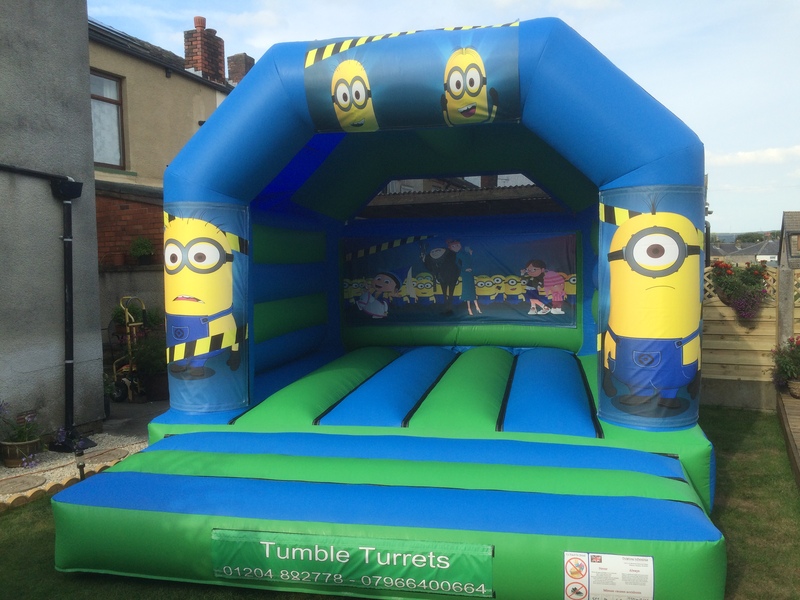 Tumble Turrets are pleased to announce this latest new castle for 2016. 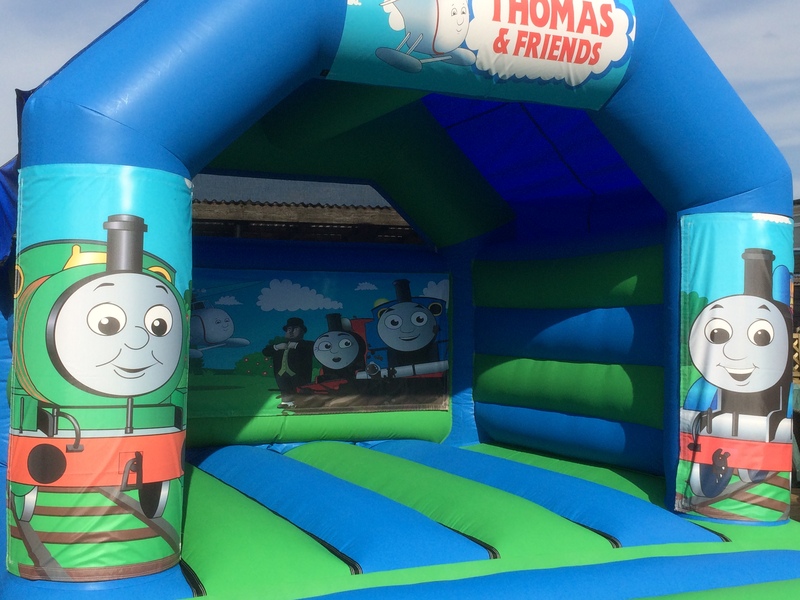 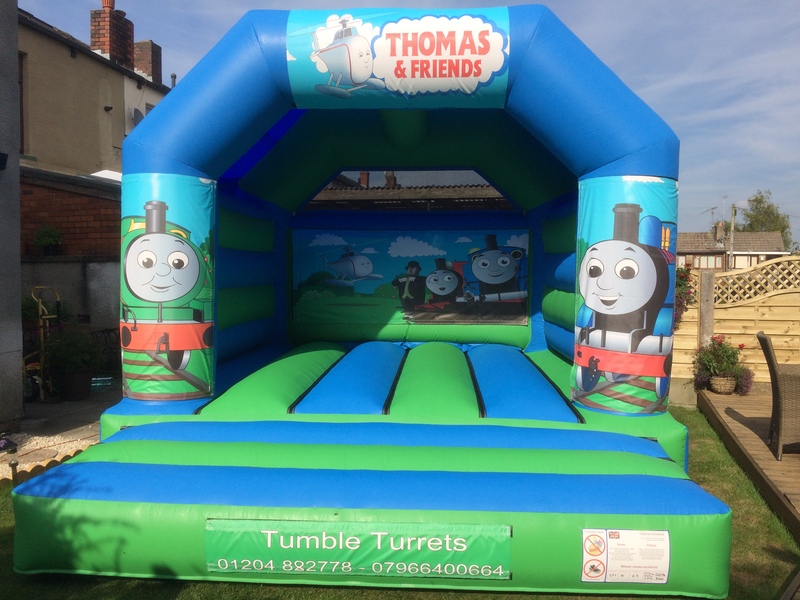 This Thomas the Tank Engine and friends themed castle will be a great hit at your party. 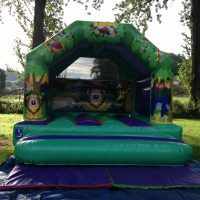 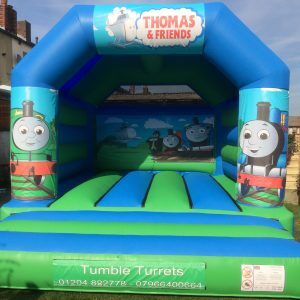 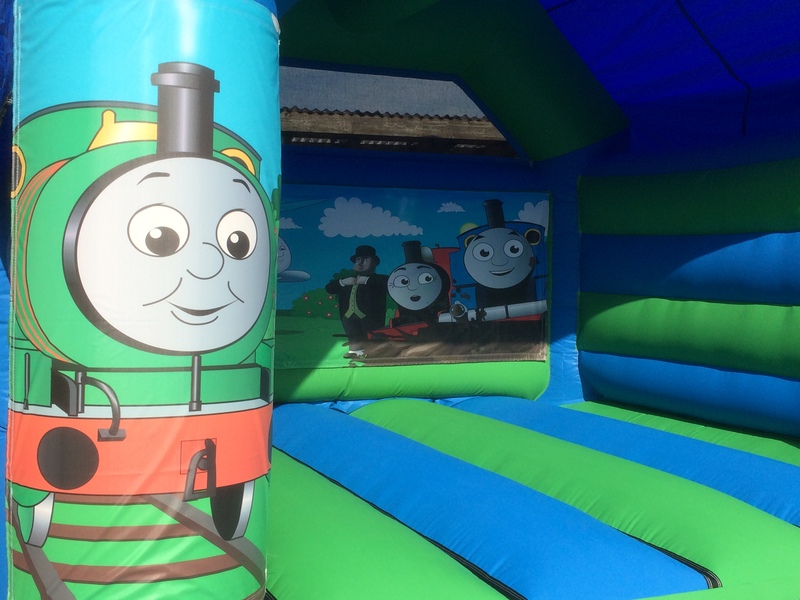 It is ideal for children up to the age of 12 and can be used for garden hire or at indoor party venues within the Bury, Bolton, Rossendale and North Manchester areas. 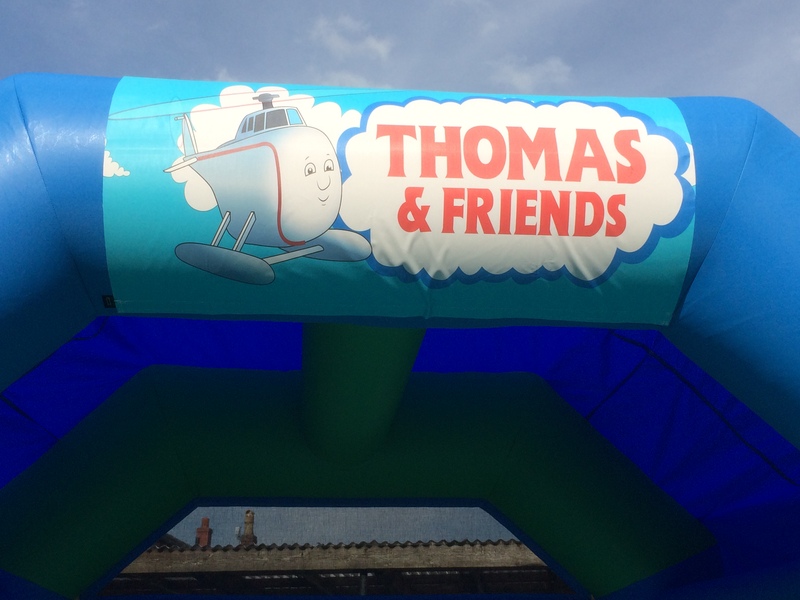 It has a sewn in rain cover which can also be used a sunshade on hotter days. 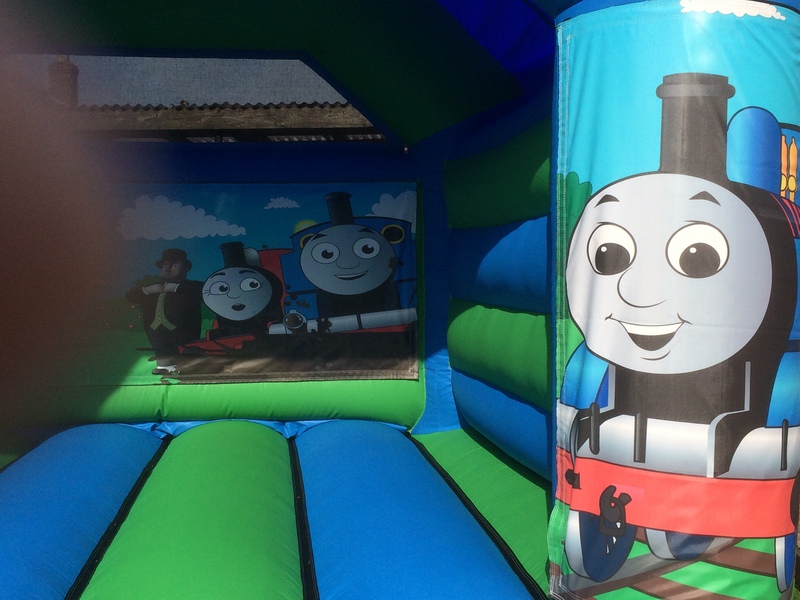 Why not hire this lovely castle for your Thomas themed party for your train enthusiasts.